Rain is part of our lives here in South Texas and lately, it’s been a huge part. In an effort to keep the kids entertained while we’re stuck inside, we get creative. 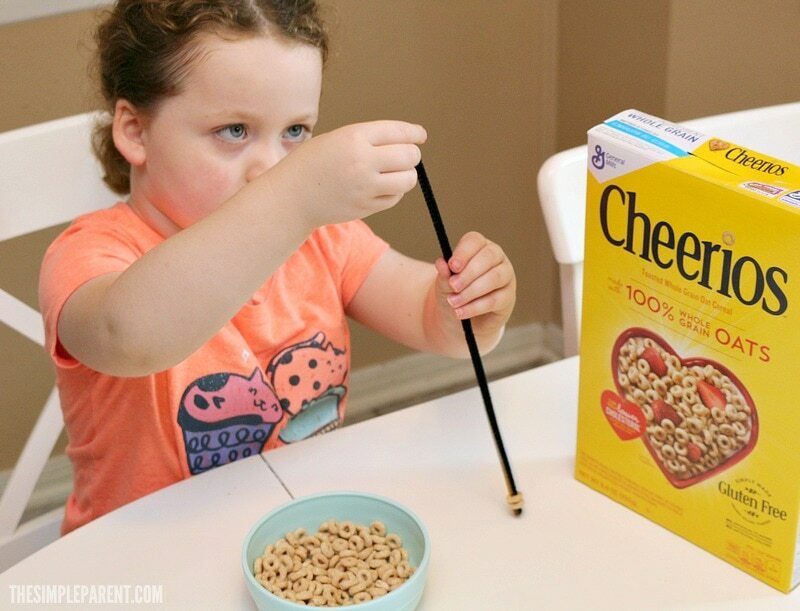 These preschool rainy day indoor activities use something we always have in our pantry — Cheerios cereal! When the rainy days stretch on, it can feel challenging to keep the kids busy. But it doesn’t have to be complicated to give them a little something new to do. The kitchen is one of the easiest places to find good rainy day preschool activities. Carrigan has had a blast using things from around the house to play. With back to school season here, my focus is back on fun ways for my kids to learn too! 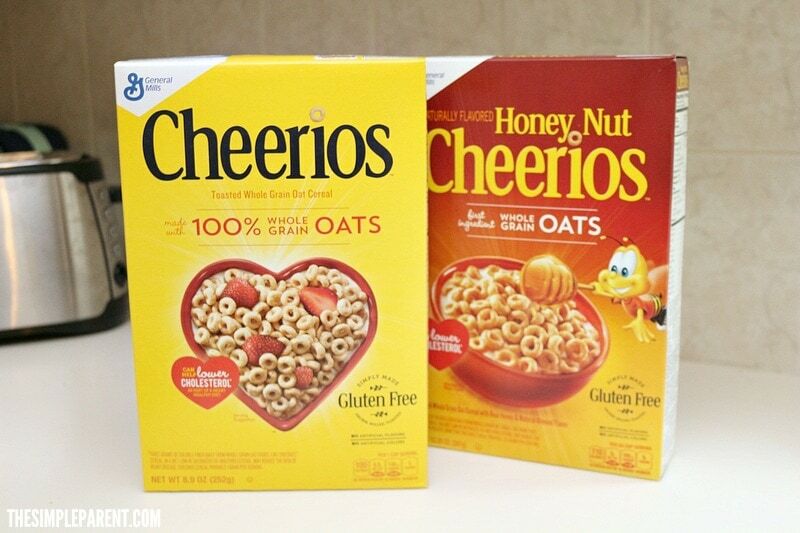 Cheerios is a staple in our pantry. It’s a convenient and easy breakfast that I know the kids enjoy. 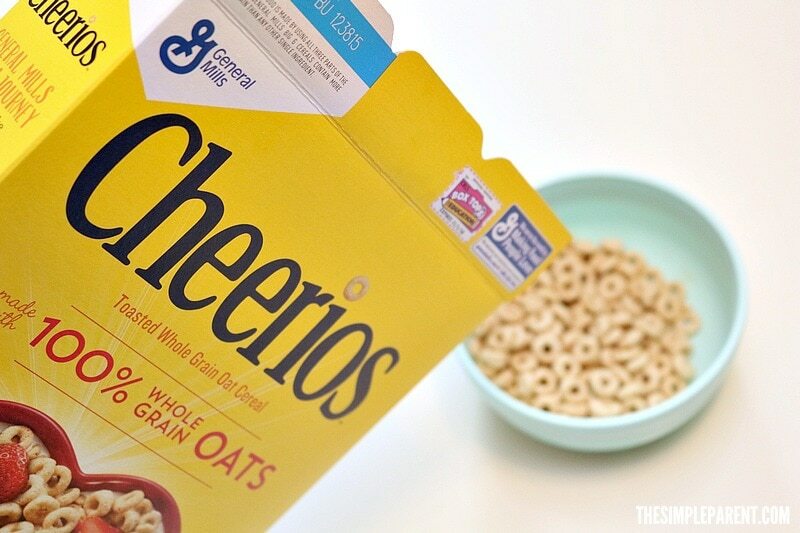 We’ve also been known to enjoy Cheerios for snacks and even for dinner from time to time! It makes a great option for our family and an easy way to entertain the kids too! Carrigan loves playing with measuring cups and spoons. Cheerios is a great cereal to get out when she plays. She can explore measurement and other math concepts like sorting and counting! Another great way to practice almost any skill is to trace the letter, number, or shape on a piece of paper. Then have your child place Cheerios along the lines. This is fun to do with names too. 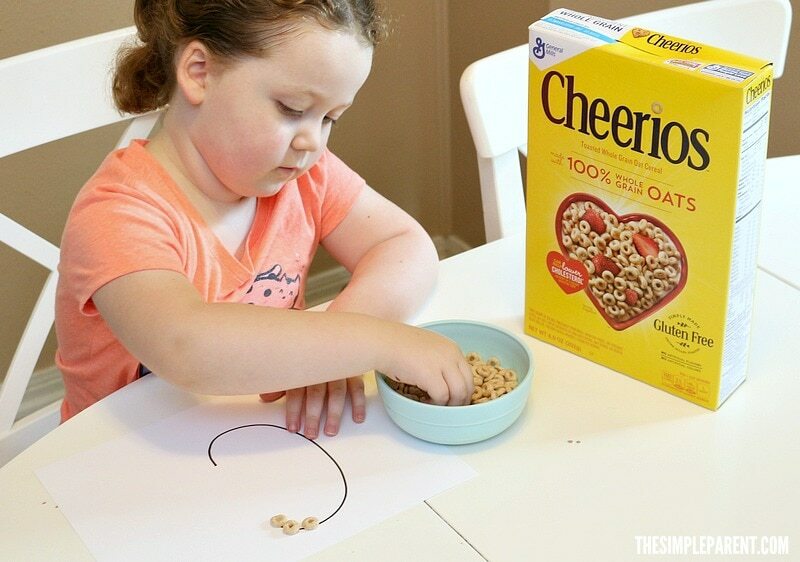 Carrigan also likes drawing her own pictures and then tracing them with Cheerios! It’s one of the easiest preschool rainy day indoor activities to do with kids! 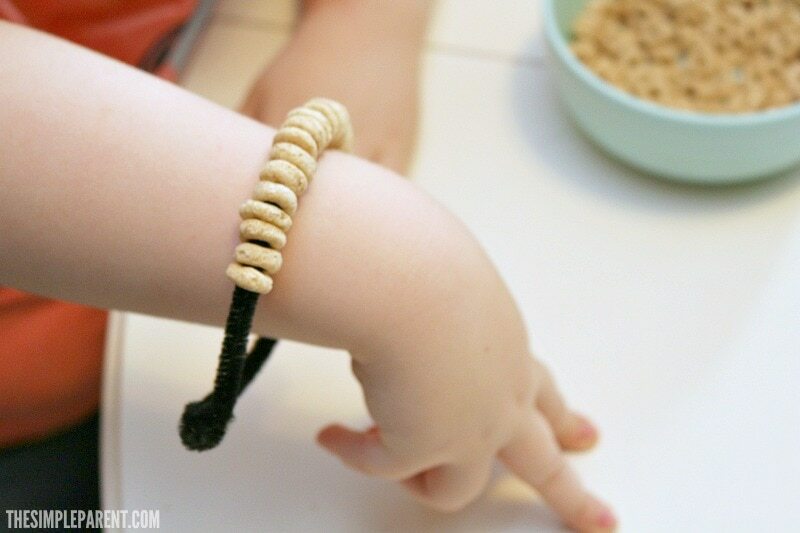 String Cheerios on pipe cleaners to make bracelets! 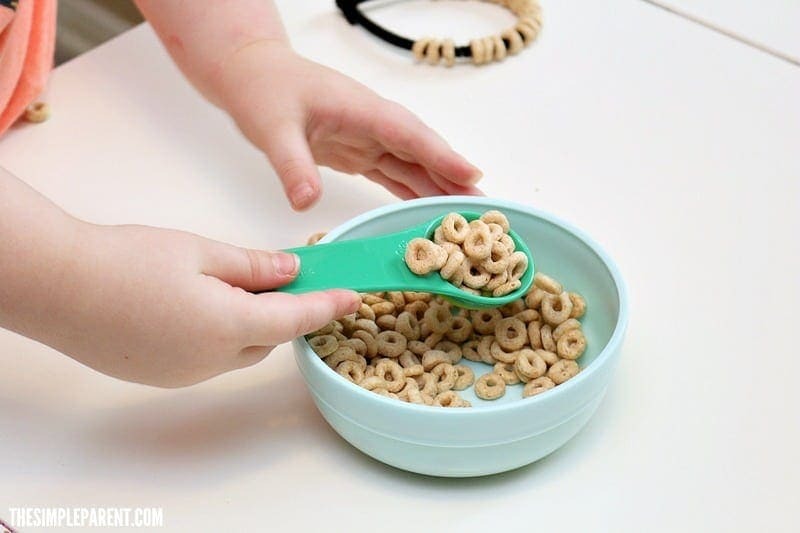 Stringing the Cheerios on pipe cleaners is great fine motor skills practice for preschools! 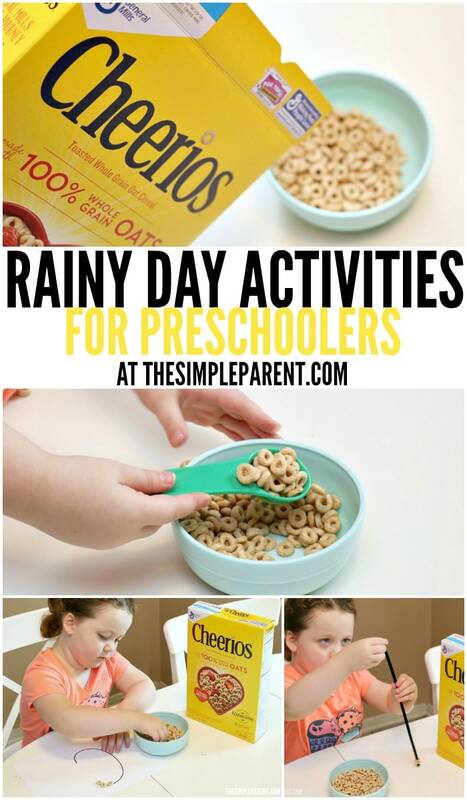 It’s also a rainy day preschool activity that lets them be creative! The great thing about pulling the Cheerios box out of the pantry for some rainy day preschool activities? It doubles as a great snack that they kids love! 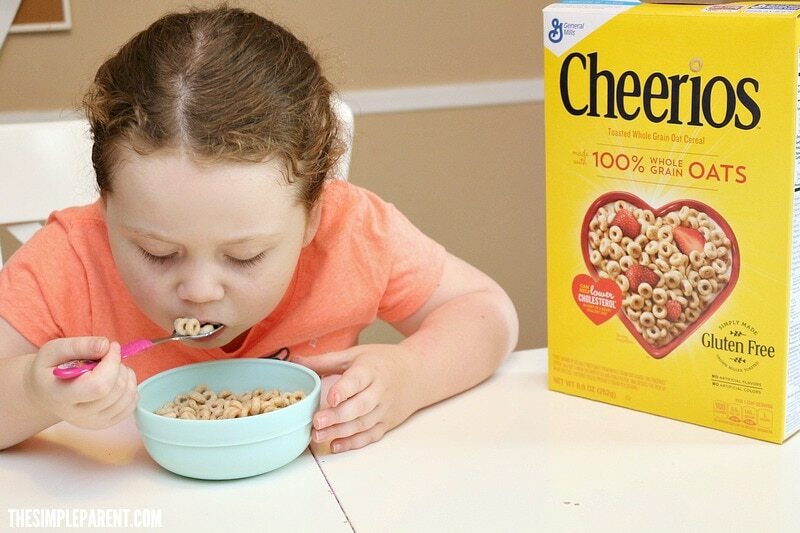 We’re ready to get back into the school routine and Cheerios will be a wholesome addition to our morning (and snack time) routine!